Your gift to the Emmetsburg Educational Foundation Scholarship Fund with the Palo Alto County Community Foundation will allow for awards of financial assistance to students of Emmetsburg High School pursuing higher education. As the cost of tuition continues to rise, it is more important now than ever to diminish the barrier of affordability and allow students to focus on what is most important - their education. Your gift to the Five Island Trail Endowment Fund with the Palo Alto County Community Foundation will support the charitable activities of the Five Island Trail. Your gift to the Feed Our Kids - Emmetsburg Endowment Fund with the Palo Alto County Community Foundation will benefit the charitable activities of the Feed Our Kids - Emmetsburg program.  The Lynn and Kathy Graff Heritage Fund with the Palo Alto County Community Foundation allows recommendations for grants to be made each year to support charitable causes that carry out the mission of the Community Foundation. Gifts to the Shrine of the Grotto of the Redemption Endowment Fund with the Palo Alto County Community Foundation will help support the charitable activities of the Shrine of the Grotto of the Redemption. Gifts to the Palo Alto County Community Impact Fund with the Palo Alto County Community Foundation allow us to continually respond to the current and unique needs of Palo Alto County. By making this gift, you give us flexibility to fund charitable programs and projects in the community to explore the arts and celebrate diversity, support healthy lifestyles, protect natural resources, educate future generations, preserve the past, build hope for tomorrow, ensure a safe place to live, and improve the quality of life for all. Gifts to the Mark and Carol Schuller Memorial Scholarship Fund with the Palo Alto County Community Foundation allow the Community Foundation to award financial assistance to qualified students pursuing higher education. As the cost of tuition continues to rise, it is more important now than ever to diminish the barrier of affordability and allow students to focus on what is most important - their education. Gifts to the West Bend Historical Society Fund with the Palo Alto County Community Foundation will benefit the charitable activities of the West Bend Historical Society. Gifts to the West Bend Friends of the Library Fund with the Palo Alto County Community Foundation will support the charitable activities of the West Bend Public Library as it continues to reach out to all residents of Palo Alto County to provide informational and recreational materials and related services.